Congratulations to Caroline von Eichhorn (Germany), Lu Yang (China) and Christoph Behrens (Germany) for winning the Hostwriter Prize 2015, endowed with 3.000 Euros. Two German journalists travel to China and contact several colleagues on the ground via Hostwriter. 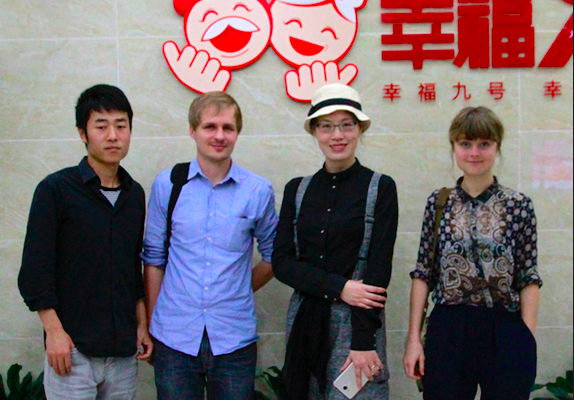 Lu Yang, based in Shanghai, replies immediately and is happy to meet up with them. Over a coffee Lu tells them that in 2015 many concerts and festivals, particularly in the heavy metal scene were cancelled. This is the start of a collaborative research that leads them deep into China’s mosh pit. “Lu’s local knowledge and very congenial nature opened many doors for us. The collaboration was crucial for really getting into the scene.” They decided to harness the cross-border knowledge as much as possible and, together, researched two other stories about the Chinese cinema and China’s ageing population. The outcome will either be used individually by each team member, or they will again publish as co-authors. We think this is collaborative cross-border journalism at its best. Read the story in English and French on InPerspective or the original version in German on Spiegel Online.